we know to the form which Jesus spoke. Give us bread for our needs day by day. Do not let us enter into temptation. Now in service in the Dominican Republic . To Help Make The Connection To The Higher Power Within. Christianity, they being the oldest "established" church. 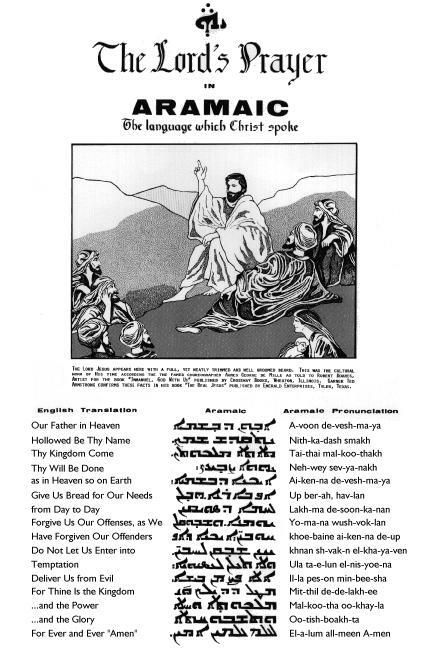 with proper Aramaic pronunciation of the Lord's Prayer.